Soy Bean is one of the staple foods in Africa. It is used for both food and drinks of different types. Desertification, over cultivation and over grazing had limited its production. This work examines the growth responses of three accessions of soybean (Glycine max) as influenced by Arbuscular Mycorrhizal Fungi (AMF) inoculation, Poultry manure and different inorganic fertilizers applications. 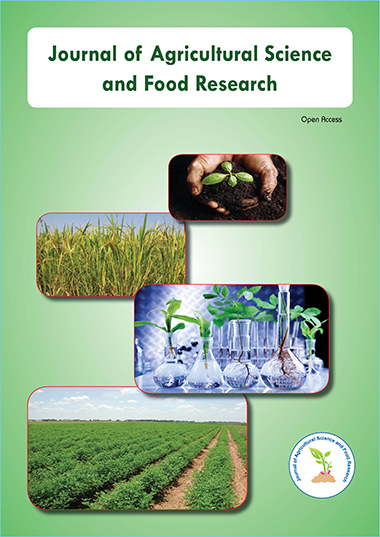 The seed sample for this study comprises of three (3) different accessions of soy-bean with seven (7) treatments which are Arbuscular mycorrhizal fungi (AMF), combination of Abuscular Mycorrhizal fungi and NPK Fertilizer (AMF+NPK), combination of Abuscular Mycorrhizal Fungi with Poultry manure (AMF+PM), NPK Fertilizer only (NPK), Poultry Manure (PM), combination of NPK Fertilizer and Poultry Manure (NPK+PM) and the untreated which serves as control. Parameters measured were; leaf length, leaf breath, stem height, number of leaves and number of flowers. Data collected were analyzed using ANOVA, while means were separated using Duncan Multiple Range Test. Results obtained revealed that plants with combined treatments of NPK+PM had the highest values for stem height, leaf breadth, number of flowers and number of leaves. Combined treatments of AMF+PM also significantly improved the growth of soya beans. For sustainable soy bean production, organic and inorganic fertilizers are recommended for optimum yield.